To lit­tle real fair­ness exists in the world at large. Protests, vio­lence, injury and death mark the chasm between black and white, rich and poor, man and woman, priv­i­leged and com­mon. It can accu­rate­ly be said that life, tak­en in aggre­gate, is more unfair now than at any time in human his­to­ry. But this arti­cle aims to talk about the issue of too much fair­ness or being fair when it is uncalled-for. This is the point where peo­ple look at their fel­low human and want to take an action to make things incre­men­tal­ly more fair between them. Said this way, it seems like med­dling. In defense of my the­sis, I’m not writ­ing about a protest to change a company’s poli­cies towards groups of peo­ple. We must protest for fair­ness among large groups of peo­ple. It is fun­da­men­tal to our health as a soci­ety that we con­tin­ue to cor­rect these issues. Rather I’m con­sid­er­ing the urge, in humans, to change sin­gu­lar oth­er humans’ behav­ior. Are all humans cre­at­ed equal? In response to that ques­tion, I’d say it’s too broad and in fair­ness, too vague. One could affirm that peo­ple are “equal” when one is talk­ing about oppor­tu­ni­ty or fran­chise or basic rights; but “equal­ly” one could reject “equal” on the grounds that peo­ple are not intrin­si­cal­ly the same. This is not the place to argue nur­ture ver­sus nature, but regard­less of the source I posit that peo­ple begin life equal in some basic and fun­da­men­tal areas, dif­fer­ent in oth­ers and are only like­ly to grow more dif­fer­ent over time. If the read­er is still hold­ing onto a mis­guid­ed notion, con­sid­er how utter­ly mun­dane and bor­ing a world com­posed of one per­son copy-past­ed how­ev­er many bil­lion times across the globe; nei­ther would they be hap­py nor would they be hap­py with each oth­er. The joy in the world is the prod­uct of the opti­mistic sum of our dif­fer­ences. Cer­tain types of peo­ple can live with them­selves as spous­es and part­ners, but more often then not, the fabled “oppo­sites attract.” While from out­side, large groups orga­nize on sim­i­lar traits (skin colour, occu­pa­tion, the­o­ry of life or hap­pi­ness); from with­in, these groups tend to bond and peo­ple spe­cial­ize with their dif­fer­ences. In terms of part­ners (life, busi­ness, or oth­er­wise), the trope “oppo­sites attract” exists because com­ple­men­tary pair­ings are stronger than sim­i­lar pair­ing. 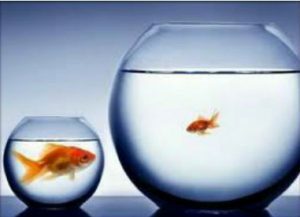 The truth of the mat­ter is that peo­ple don’t wish to be equal. In so far as 50% of peo­ple live below the mean (for what­ev­er mean you choose), 50% of them can espouse the idea that fair­ness would be bet­ter for them and the oth­er 50% of them can agree that, while their priv­i­lege would be reduced, 50% would be bet­ter off. This is to mis­con­strue the goal of either group. Indi­vid­u­al­ly, peo­ple want to bet­ter them­selves. As a group, they can bor­row from many philoso­phies only some of which will bet­ter any of the group. By def­i­n­i­tion, then, some can achieve “bet­ter” by equal­i­ty, but nev­er all. By reduc­tion, equal­i­ty is a sta­sis where peo­ple are unhap­py. This post was spurred on by two things hap­pen­ing: one to me and one in the news. My own per­son­al brush with equal­i­ty serves to intro­duce the prob­lem: Some­one com­plain­ing about my roof. Re-shin­gling your roof is expen­sive. Not buy­ing a new car expen­sive, but con­sid­er­ing what I dri­ve, the roof is eas­i­ly worth two cars that are “new to me.” I have known for some time that the roof is need­ing doing and the prob­lem has become increas­ing­ly more dire. This is a prob­lem I share with my wife and we wor­ry about it. How­ev­er, some time ear­ly this spring, a neigh­bour choose to com­plain about my roof to the city. It turns out that, just like my lawn, the city has an inter­est in my roof — if only some­one would com­plain. If nobody com­plains, as far as I can tell, things could go to heck in a hand bas­ket and only I (and my wife) are poten­tial­ly sad. This, I believe, is the result of a mis­guid­ed attempt at fair­ness. Ours is a new sub­di­vi­sion, so everyone’s roof has required new shin­gles at rough­ly the same time. I frankly assume that it is as oner­ous a propo­si­tion to most of my neigh­bours as it is to me. Just as frankly, and for rea­sons I won’t describe here, I haven’t yet been able to find the mon­ey to re-shin­gle my roof. But since every­one has had this expense, one could con­strue it was unfair that I haven’t yet re-shin­gled my roof. One could; but unfair to whom? The city only seems to care that shin­gles are not loose (if hous­es were two or three times clos­er togeth­er, I could buy this argu­ment, but with at least 10 yards between my house and the near­est any­one but the paper­boy should come to my house, I reject it. My own brush with fair­ness is some­what weak and I would not have writ­ten this arti­cle on the basis of it alone. Indeed, that was over a month ago. 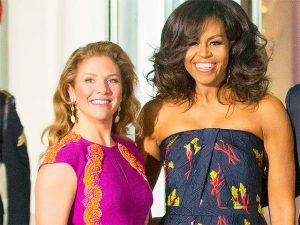 How­ev­er, an arti­cle popped up in the news this week regard­ing cloth­ing worn by Sophie Trudeau to pub­lic func­tions. First­ly, both women look gor­geous and both are wear­ing dress­es that hon­our design­ers with links to Cana­da. I’m not “in” fash­ion, but my own read­ing of the press gives kudos for both choic­es. The “com­plaint” from some quar­ters is that Sophie should have to pay for her haute cou­ture. When count­ed with the fact that some dress­es and gowns have only been worn once, have pub­licly shown the Cana­di­an designer’s work, and have been returned, the com­plaint is then that she should have paid some rental fee. I get that there are rules for this sort of thing and I get why there are rules, but in this case, all the rules are fol­lowed. I would say plain­ly that Sophie Trudeau is not equal to those who com­plain and, indeed, as the Prime Minister’s wife gets spe­cial treat­ment. Her actions also con­fer spe­cial treat­ment back to those Cana­di­an design­ers. I could con­sid­er a com­plaint by which some design­ers feel neglect­ed, but this has not been voiced. It strikes me that it is hard enough find­ing peo­ple will­ing to be Prime Min­is­ter. Even if the rules we have for this sort of thing are imper­fect, it is unrea­son­able to expect peo­ple in this posi­tion to not derive and plea­sure or perk from it, when offered gen­uine­ly. It is human nature to appre­ci­ate being fair. It is also human nature to appre­ci­ate being spe­cial. Note that the nat­ur­al way to describe this sit­u­a­tion is that fair­ness is some­thing that applies to some­one else while spe­cial applies to one­self. This is just one of the inher­ent stress­es of being human. It is like­ly one of the rea­sons pol­i­tics is so dif­fi­cult. The sin­cere truth of the mat­ter is that everyone’s sit­u­a­tion is dif­fer­ent. The cost of wear­ing clothes rep­re­sent­ing Canada’s fash­ion indus­try is like­ly beyond a Prime Minister’s salary. Con­sid­er that a CEO of a cor­po­ra­tion of this size would make many, many times what we pay our Prime Min­is­ter. Sim­i­lar­ly, my own sit­u­a­tion with regard to my roof is my own. If you stopped to talk with me, I might bend your ear about it, but I might just as well talk about some­thing more inter­est­ing. Being fair is not always (often?) right. This entry was posted in Life, Rant and tagged canada, fair, fairness, fashion, house, justin, justin trudeau, rant, roof, trudeau. Bookmark the permalink. I real­ly appre­ci­ate you as you took so much time in writ­ing on such a good top­ic. Yes Life is not fair at all. I wish that every­one be hap­py and enjoy a lot.